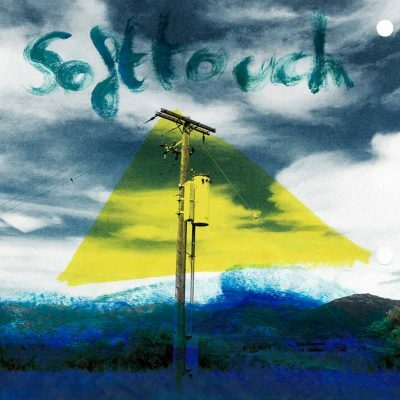 Soft Touch’s self-titled sophomore release continues its lo-fi trajectory through the same R&B territory established by their debut album, Touch, in 2015, but with one major difference: From start to finish, this album is much, much more musically cohesive than Touch, and ultimately, much more accessible. The opening track, “Thirsty Heart,” introduces brisk, melodic synths that move (with purposeful designation) back and forth between sounding like the melodic underpinnings of the song to suddenly becoming the song structure’s sole focus and musical commander in chief. But it doesn’t stop there: Jake Burch’s high-pitched, funk-infused vocals dip, dive and roll as the track introduces sharp, chilly-sounding synths and the occasional low-key, manipulated sample to the mix. It’s a lot to process and a bit of a risky move, but it pays off. I continued to find new layers to the track with each subsequent listen, which ultimately made for an unexpected (albeit welcome!) interactive listening experience. The following song, “To Your Arms,” undeniably evokes R&B, Prince-inspired vibes supported by the dual vocals of both Burch and Cam Sackett. It’s a down-tuned, funky track with the shake and rattle of an early ’60s rhythm and blues band. The next couple of tracks, “PTD” and “Tell Me,” don’t emit the same R&B intensity that “To Your Arms” does, but they’re dynamic enough in their own regard to be equally as enjoyable. “To Your Arms” embraces a fully unapologetic—and in true Prince fashion—dramatic keyboard introduction juxtaposed by an array of sweeping synths carefully choreographed to enter and exit the song for optimal emotional catharsis. Burch and Sackett add the finishing touches to the track, asking almost incredulously, “Tell me / Tell me / Where is your heart?” as the song reaches full instrumentation and comes to a close.